« We have lift off! We have been at Exeter Castle for the Christmas shopping fair in the last week, we sold a few prints including framed ones but more importantly it has been an opportunity to talk to people including quite a few keen photographers, the good news from my point of view is I have had some really positive feedback on my work and also it has inspired me to visit some additional locations that are close to peoples hearts. This is still a relatively new venture for us and ultimately this is my hobby, I have already told Debbie (my wife) that the day a shoot an image just to be commercial is the day I stop, this may sound strange or harsh but I strongly believe that my passion for photography has to be behind every image. When talking to some people there seemed to be a misconception that to take good photographs you need a really expensive camera, this is simply not true just look at images people have taken with camera phones, I don’t mean drunken nights that are posted on social media either;) Even if you decide to enter the world of the Digital SLR an entry level body such as the Canon 1100D or Nikon D3100 will produce impressive results remember it is the person behind the camera and not the camera that is taking the photo. A Digital SLR is not the only camera you can take great images on either, CSC cameras are very popular, bridge cameras, compacts and as previously mentioned camera phones all take great photos. Another comment I heard a lot was I will have to wait until the weather improves, this is another misconception it is a case of adapting your photography to the conditions for example a dull overcast day is perfect for photographing rivers as you won’t get blown out hi-lights in the water from bright sunlight. 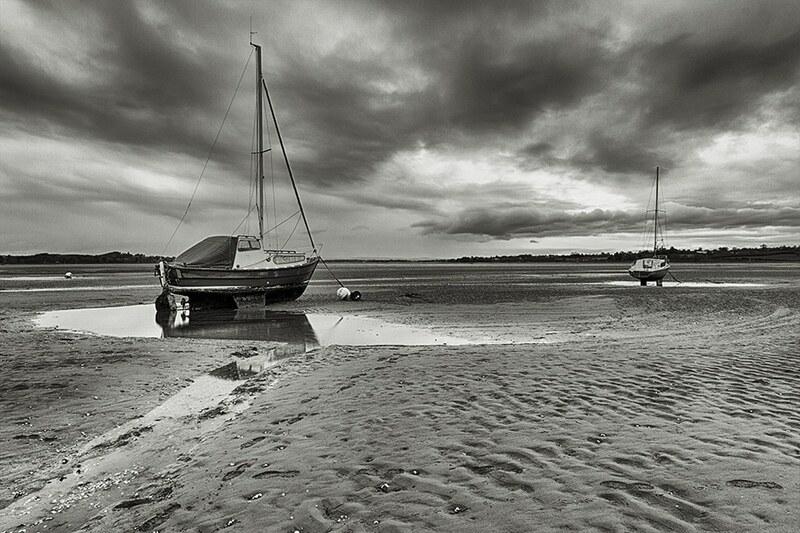 In my case today I went down to the estuary at Exmouth hoping to catch a sunset however it was very cloudy so rather than give up and go home I hung around with a view to capturing some shots with the intention of converting them to black and white. So just remember if you go out to take photographs and the conditions do not pan out as you want then look around or have a think before you pack up and go home. This entry was posted in Photography, Website.